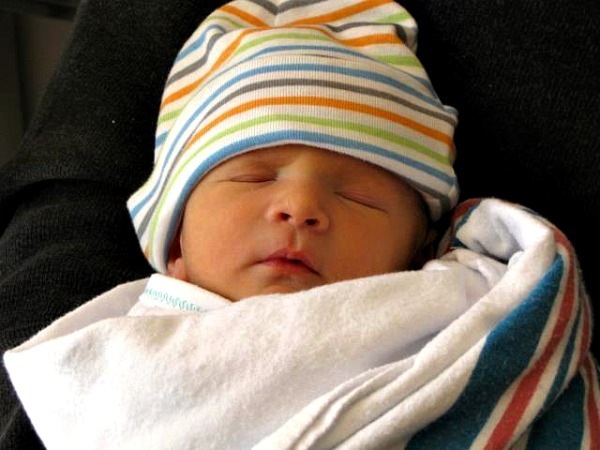 My cousin, Christopher, and his beautiful wife, Kathleen, welcomed their first child, Brody Quinn O’Connell, last week. And you know what that meant, right? Yep. 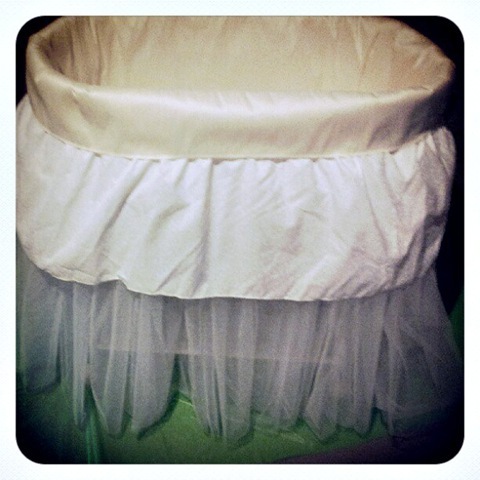 It’s was time to make another baby bassinet! I dusted off my sewing machine and serger, gathered yards and yards of tulle and played with the most scrumptious Silk Shantung. 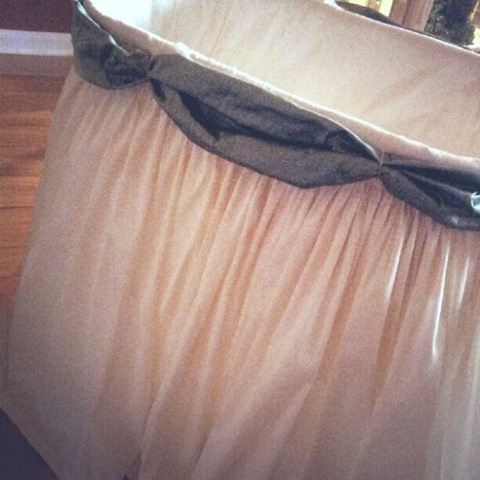 After I finished the tulle pettiskirt, I made a silk lining for the inside of the bassinet using the mattress as my template. Next was the fun part—ironing 14 yards of silk. Yes, I kept it all in one piece…LOL! 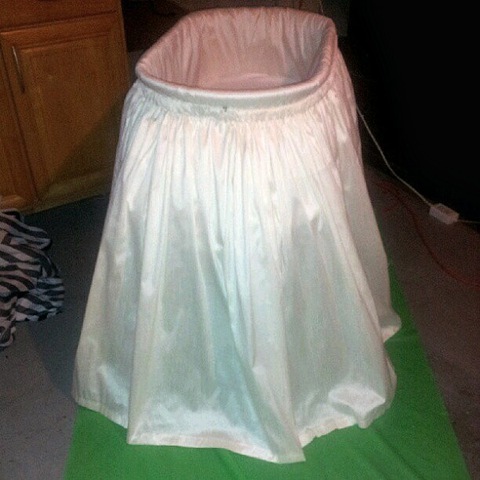 For the skirt, I added a casing at the top for the elastic, a hem on the bottom and then gathered the 28 foot piece of silk around the outer part of the bassinet. I know I went a little overboard—but I like skirts full. Ridiculously full. 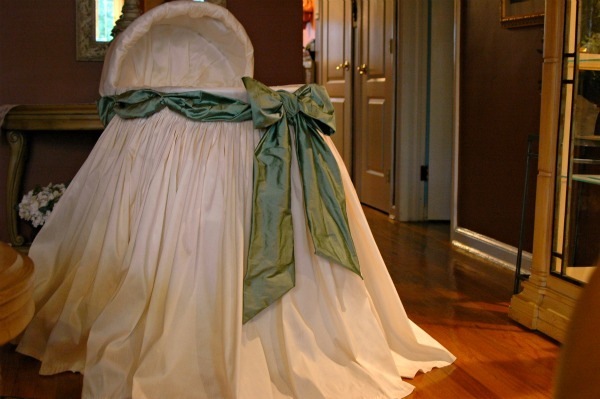 I made a sage green silk swag around the skirt to cover the casing and then tied it in a big arse bow in the front of the bassinet. My biggest dilemma was the bassinet hood. Unlike other ones I’ve done (which were wicker), this one was a folding hood. 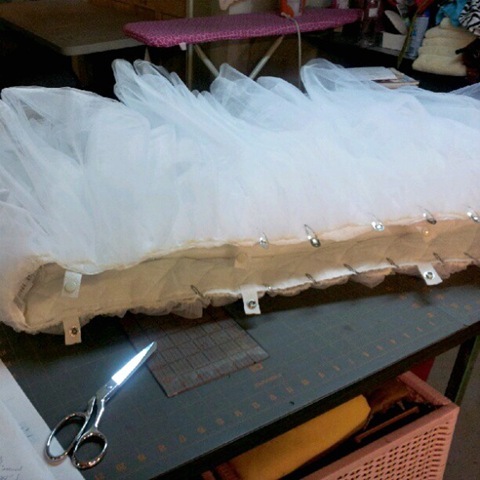 It made it difficult to cover—so I had to take out the good old glue gun for my sanity. The silk was off-white, more like the picture above. It was really hard to make a bassinet without all the girly frills, but I held back—I didn’t want anyone to mistake Brody for a baby girl. Congratulations Kathleen and Chris! And just so you know, as an embroiderer, I warned them about the baby’s initials—B.O. as in Body Odor. Yes, I will tease him relentlessly. 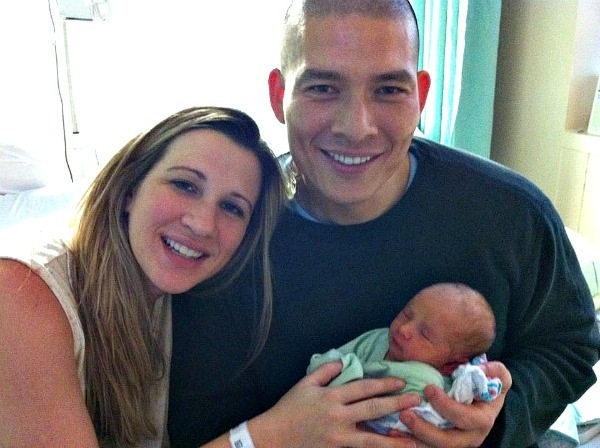 Congrats on the new addition to the family! He is adorable. THAT bassinet is just TDF! Excellent job Diva! it’s just beautiful, lavish and plush, just right for a prince. Lisa, they are just beautiful, both the baby and the bassinet! What a lucky baby boy! Congratulations!! Congratulations on the new prince in your family!! 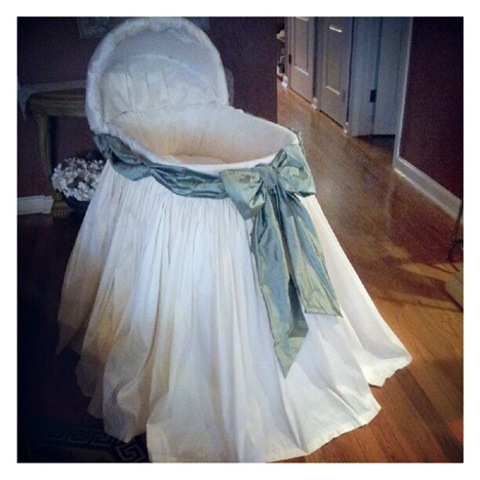 What a beautiful bassinet, just gorgeous! Lisa, what a beautiful and magnificent job you did on that basinette for a gorgeous little baby. You can tell that it was made with great love. How long did it take you to do it? What a beautiful bassinet!!! Love it! thanks Debra! 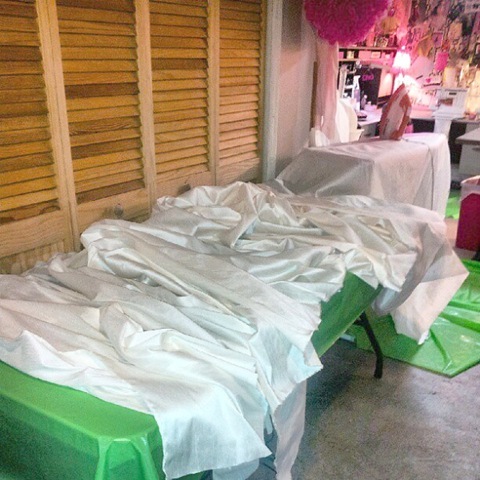 It took longer to iron the silk than it did to actually make it…LOL! I broke the project up into smaller ones so it wasn’t too overwhelming. So I’m guessing it took me 3 afternoons. Seriously! I’ll buy my own fabric and even iron it for you, pay for shipping obvi… I just need to know if you make these for sale?